This deck of 27 cards contain quotations to inspire your creativity and power, and nourish your soul. The leatherback turtle on the front of every card is both a magnificent animal, and a symbolic Pathfinder, Keeper of Doorways, the world that carries us. 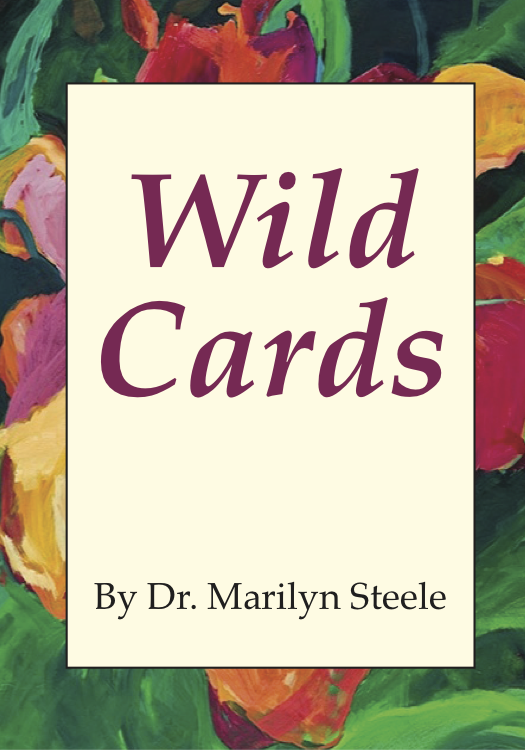 Wild Cards can be used as starting points for meditation, writing, and other forms of creative expression. They also make beautiful gifts, and provide a soul-centering way to start the day. Single packs are $25; multiple packs are $23 each. We’ll ship your order within two days. Details: Each deck contains 27 cards that measure 2.5″ x 3.5″, housed in a scallop-edged elegant box, and comes with a 3.5″ x 5″ booklet with original art. Read the introduction that accompanies each deck. We women are Wild Cards in the world, bringing our values and vision to remake the world at this time of great urgency, and great possibility. The world has been too long without feminine wisdom and power in leadership at every level of society. This is the time for us to come forward into our families and communities, local and global with the wisdom, power, passion and creativity which are at our core. This is the time to transform the world by expressing the heart of what matters to us. I use the Leatherback as a central image for several reasons. She is a deep diver, a strong long distance swimmer, an abundant creator, a master navigator, who does not recognize limits. In many world myths, the sacred turtle is the creator and sustainer of worlds, carrying us on her back with her millions of years of memory, mystery, wisdom. Turtle is also sacred to the Aphrodite, Greek goddess of love and beauty. The leatherback connects us all through her contact with many peoples and cultures. In myth, in our collective dreams, she is a Keeper of Doorways between the spiritual and material realms of being. We learn to pay particular attention to the thresholds, boundaries, and borders in our lives. She stands for these qualities, the Wild Feminine, in each of us. She is a wayfinder, a pathfinder. We each must learn to navigate the oceans of our feelings and creativity, and to come to solid ground when it is time to take action and deliver our gifts.